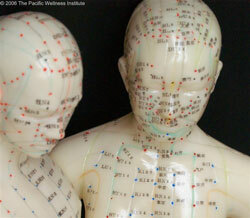 In the Orient, acupuncture has long been utilized to promote fertility and treat a variety of gynecological conditions. In recent years, there has been a growing interest in acupuncture among reproductive specialists in the West. The attention has especially intensified since 2002 when German researchers announced significantly higher pregnancy rates among women undergoing In Vitro Fertilization (IVF) in conjunction with acupuncture. The May 2006 issue of the journal, Fertility and Sterility, featured eight acupuncture related articles (three original research papers and five commentary articles) [2-9]. Two of the original articles reported higher pregnancy rates among patients who received acupuncture in conjunction with their IVF cycles versus patients who received ï¿½placebo acupunctureï¿½ or no treatment. One study found no significant difference in pregnancy rates between the acupuncture group and control (placebo) group. While it is encouraging to see the additional data supporting the efficacy and safety of acupuncture use in conjunction with IVF, some experts have raised a number of issues and questions regarding the somewhat contradictory evidence on acupuncture. They are urging for more rigorous studies. It should be noted that a simplified acupuncture protocol used in one previous study is not likely the best possible approach for everyone. Acupuncture works by very complex mechanisms and responses are influenced by numerous factors. It would take years to clarify the exact underlying mechanism of acupuncture and to create standardized treatment protocols according to the conditions. Although there is a plethora of anecdotal evidence on the efficacy of acupuncture on fertility, more scientific studies are needed. In the meantime, sensible experienced acupuncturists develop individualized treatment plans based on scientific and traditional empirical knowledge combined with the latest research information available. At The Pacific Wellness Institute, we have been conducting our own study evaluating the efficacy of acupuncture on fertility. Although we have not been able to follow-up with every single patient, we have been able to count 67 reported pregnancy cases* among patients who received acupuncture specifically for fertility concerns over the past 2 years (Jan 2004-Dec 2005). The data is currently in the process of further detailed review and analysis. This type of retrospective study is not regarded highly in most scientific journals (and there are some valid reasons for this), however, periodic review of cases within the practice is still one of the most important processes to consistently deliver the highest quality of care possible. *Cases when pregnancy occurred more than one cycle away from the last acupuncture session were not included in the data. Pregnancy cases which were considered to be chemical pregnancy were also not included in the data. Paulus, W.E., et al., Influence of acupuncture on the pregnancy rate in patients who undergo assisted reproduction therapy. Fertil Steril, 2002. 77(4): p. 721-4. Westergaard, L.G., et al., Positive effects of acupuncture in assisted reproductive technologies are not mediated by changes in ovarian and endometrial production of estradiol, progesterone, and placental protein 14. Fertil Steril, 2006. 85(5): p. 1368-9. Westergaard, L.G., et al., Acupuncture on the day of embryo transfer significantly improves the reproductive outcome in infertile women: a prospective, randomized trial. Fertil Steril, 2006. 85(5): p. 1341-6. Smith, C., M. Coyle, and R.J. Norman, Influence of acupuncture stimulation on pregnancy rates for women undergoing embryo transfer. Fertil Steril, 2006. 85(5): p. 1352-8. Myers, E., Acupuncture as adjunctive therapy in assisted reproduction: remaining uncertainties. Fertil Steril, 2006. 85(5): p. 1362-3. Domar, A.D., Acupuncture and infertility: we need to stick to good science. Fertil Steril, 2006. 85(5): p. 1359-61; discussion 1368-70. Dieterle, S., Invitation to an international multicenter study of the effect of acupuncture on the outcome of in vitro fertilization and intracytoplasmic sperm injection. Fertil Steril, 2006. 85(5): p. 1370. Dieterle, S., et al., Effect of acupuncture on the outcome of in vitro fertilization and intracytoplasmic sperm injection: a randomized, prospective, controlled clinical study. Fertil Steril, 2006. 85(5): p. 1347-51. Collins, J., The play of chance. Fertil Steril, 2006. 85(5): p. 1367-4-7. A case after three IUI failures. Natural infertility treatment using acupuncture. Successful recovery from sciatica due to disk herniation. Copyright © 2003 Acupuncture-treatment.com All Rights Reserved.